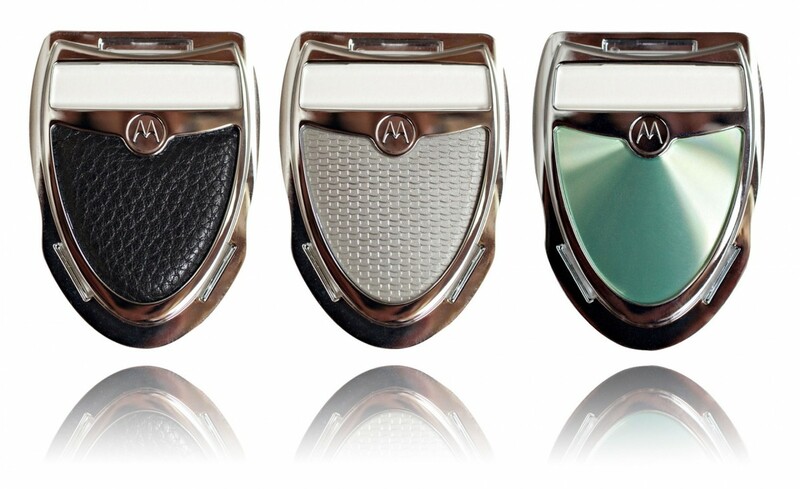 This lens assembly for the Motorola V60i phone was designed to accommodate a variety of custom inserts, providing the consumer a simple means to personalize their phone. The assembly utilized a frame, injection molded from ABS and then chrome plated. The chrome plating made the part exceptionally stiff, and provided the basic structure. A clear polycarbonate piece then provided support for a decorative insert, which was snapped in place into the frame, while also providing a lens to the caller ID screen. A double-sided adhesive film was applied to the flange, allowing the assembly to be adhered to the inside of the front cover of the phone.